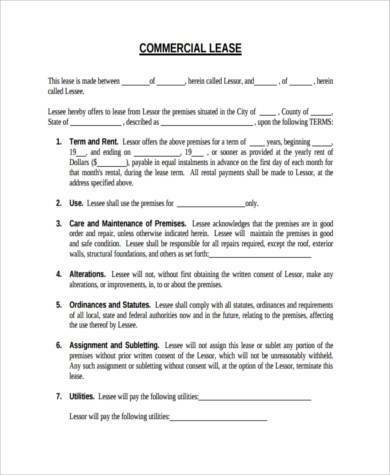 A lease is a contract by which one party lends land, property, services, etc., to another for a specified time, usually in return for a periodic payment. Basically, it’s when someone wants to rent something until he decides that they no longer need to do so, while paying a regular fee. However, what if these people want to cancel these leases? What if they no longer want to rent whatever it is they’re currently leasing? This could be due to a number of specific reasons like no longer being able to meet payments, or no longer needing it due to personal circumstances. They can’t simply drop it and expect everything to be over with; they need to have the proper documents to make the cancellation official. 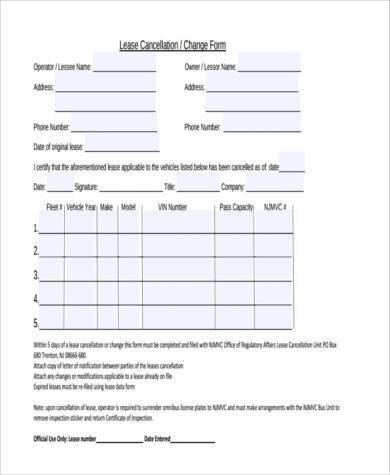 One of the forms that can help out with that is the Cancellation of Lease Forms. 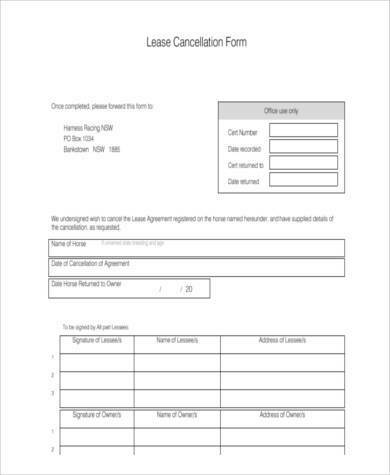 There are lots of Lease Cancellation Forms or Lease Termination Forms that a lot of people can use when they no longer need to lease anything and cancel their contract from certain companies or businesses. Here are some examples of these types of forms.. 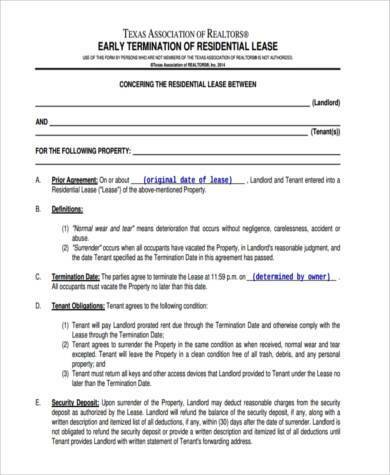 Apartment Lease Cancellation Forms are the kind of forms that are utilized by those people who intend on cancelling their lease on any kind of apartment by informing the landlord. It could amount to a number of reasons. Maybe the person has decided to move out and find another place to leave, or maybe that person is no longer able to pay for his lease on a certain product. 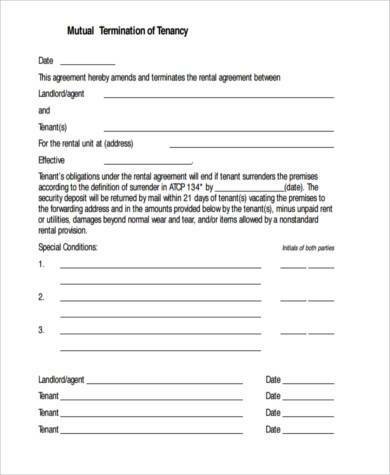 Mutual Cancellation Forms are for cases when both the person leasing the property and the landlord have come to an agreement where both want to cancel the lease. 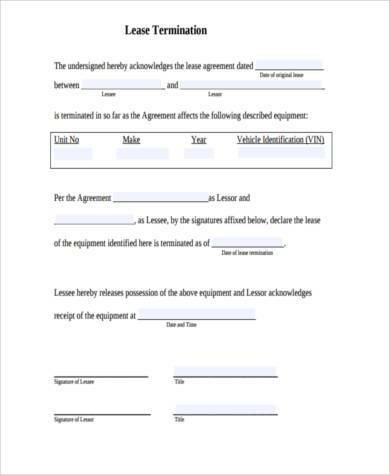 These forms will only be used if both parties have a reason that ensure that they have come to an agreement that the lease may now be cancelled. 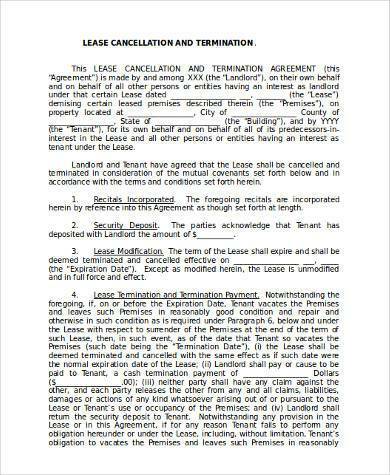 Lease Cancellation Agreement Forms are mainly used by people or companies who intend to have their clients sign an agreement under certain conditions should they want to cancel their lease. These conditions usually revolve around the monetary compensation involved once the lease is cancelled and the duration of how long the person may make use of the leased item until the cancellation. If you were someone who leases apartments or rooms for a living, usually you’d want to find out if one of your tenants suddenly decided to cancel their stay. 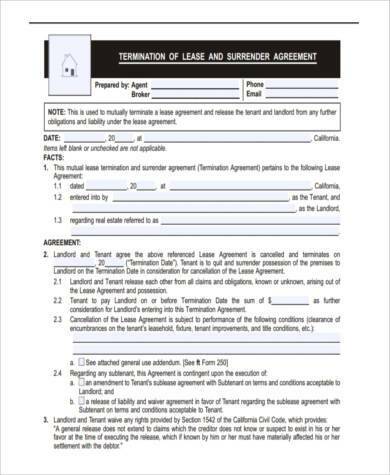 Forms such as Lease Termination Agreement Form are available to help out any person or company during situations such as these. This helps the person or company understand as to why these people are cancelling their lease. And it can help settle things by coming to an agreement before the lease can be cancelled. Topics to be discussed are usually: when and why it’s going to be cancelled, and the compensation for cancellation. If both parties have accepted the terms, then the cancellation may proceed without any issues. 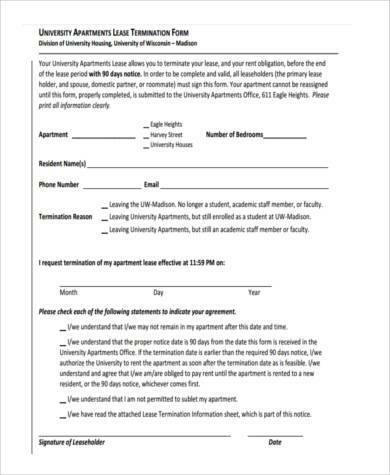 So if ever you’re planning on cancelling on anything such as a rental contract, make sure to read these forms thoroughly.